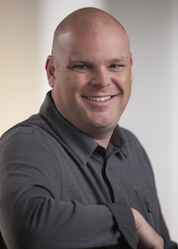 Is Your Transparency Strategy Putting the Security of Your Civic Data at Risk? The role of the city clerk is nearly as established and long-standing as local government itself. For decades, city clerks have served as an essential link between local government leaders and the people they serve. Over time, this role has evolved from handing out permit applications to walk-in residents to meeting digital transparency requirements through cloud-based agenda and meeting management solutions. As citizens become increasingly dependent upon digital technology, and the role of the city clerk remains steadfastly ingrained in our municipal operations, service-minded clerks must learn to adapt their workflows and approach their citizen engagements from a digital-first mindset. Here are four ways to be successful. You likely have citizens in your community who attend every public forum. You also are just as likely to have citizens who may never choose to engage in civic discussions. Somewhere in between are anywhere from dozens to thousands of citizens who would be willing to participate in public dialogue if they could do so on their own schedule. By live streaming meetings, and posting recorded videos to your municipal website, you give busy citizens an opportunity to learn about local matters, engage in dialogue, and become informed voters, when and where it fits their schedule. You already know how important it is to seek out citizen feedback and ensure your board has an understanding of the topics that matter most to citizens. In the digital era, however, not only can you survey citizens via online polls, you can monitor trends on the topics that matter most to them, through the analysis of digital search data. By utilizing an online agenda and meeting management portal with built-in analytics, you can analyze the issues, keywords, and topics citizens are entering into portal search fields to obtain aggregated insight into those matters that may need additional municipal focus, discussion, or external communications. Municipalities have been making public records, agendas, and meeting minutes accessible to citizens for years, however, thanks to the proliferation of digital technology, citizen expectations are on the rise. It is no longer enough to satisfy transparency requests received by phone call by mailing copies of documents. Citizens want to self-service their inquiries and have immediate, digital access to reports, records, and agendas at any time of the day or night, from any accessible Internet-enabled device. Municipalities best able to meet the expectations of digitally-minded citizens are transforming their transparency and agenda management workflows by implementing digital, searchable, integrated document repositories and agenda and meeting management solutions. Such tools give citizens the access they want while freeing up time for clerks to focus on other essential civic responsibilities. When social networks first emerged, many public entities were hesitant to engage citizens using public digital forums. Today, for brands, businesses, and federal and local government, engaging citizens via social media is the new normal, and an essential component of a successful citizen engagement strategy. Commit to sharing content via social media by enabling social sharing and digital subscriptions. Streamline your workflows by utilizing digital documentation solutions that integrate with your social channels. 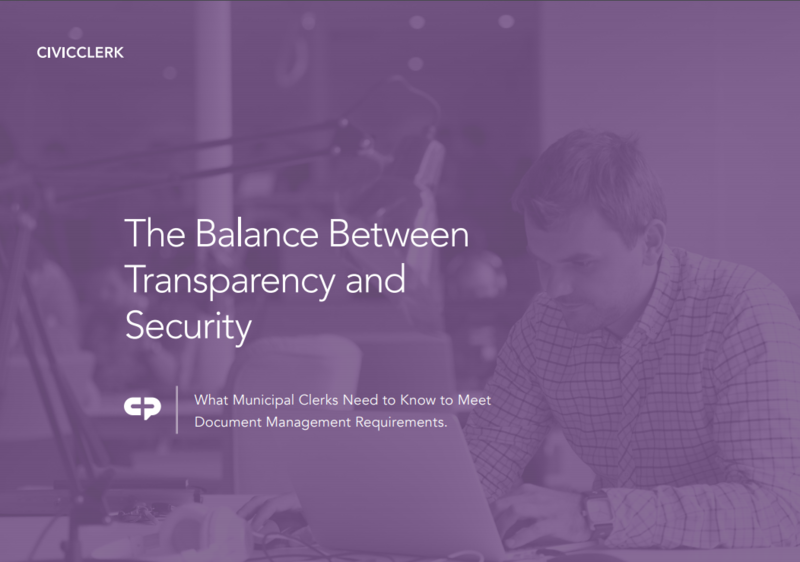 If you are ready to cross the digital divide and provide your commitment to high-touch citizen service and civic transparency, it is time to invest in a future-proofed, cloud-based document solution designed exclusively for municipal clerks. Click below to sign up for a commitment-free demonstration of CivicClerk® agenda and meeting management software from CivicPlus®, and learn how our innovative solutions will help you engage, and service digitally-minded citizens.